Bravado Gaming were just in South Africa, back for a holiday and time with family and friends. Their leisurely sojourn was unexpectedly cut short, which resulted in them rushing back to the United States. Part of the reason for this sudden change in itinerary could very well be their invitation to the Intel Extreme Masters Chicago Closed Qualifier. It’s likely that being crowned the ESEA Mountain Dew League Champions recently has gone a long way towards putting them on the map in North America. If they were to make it to the IEM event in the Windy City, it would certainly be a cause for celebration. 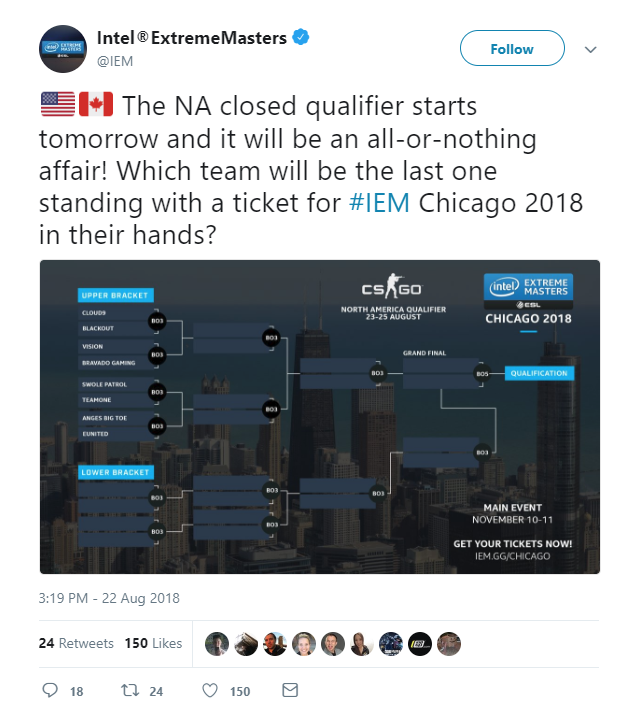 Whether they qualify or not, I think the fact they were invited to a closed qualifier for such a prestigious event shows a shift in the way they are thought of in the USA by big organizations like ESL. Their name means something now within those circles. I’ve written before that they needed significant victories to get noticed in NA. Winning MDL seems to have been the really significant victory they lacked until now. With only one spot available at IEM Chicago and eight teams in the qualifier, Bravado will certainly have their work cut out for them. BVD will be playing for the first time from their new home base in Austin, Texas. They just moved over from their previous gaming house in Phoenix, Arizona. Or should I say coach Tiaan “T.C” Coertzen moved for them while they were back in SA. We should get an announcement as to why sometime soon, as alluded to in a recent release from the MGO, titled Project Destiny 2.